Jumpers knee can either come in two different forms either Patella Tendinitis which is inflammation of the tendon through over usage or Patella Tendinopathy which is the gradual degeneration of the Patella Tendon within the knee through overuse and strain of the Patella Tendon resulting in the Patella Tendon beginning to start to wear away with small microscopic damage developing. Jumpers knee is named as such due to the high number of athletic jumpers that suffer from it. Jumpers are more susceptible to developing this injury as jumping places a huge level of stress and pressure on the knee when the jumper springs up off the ground into the air and when landing the sudden shock can also cause further wear and tear which overtime wears away the Patella Tendon. Sport and over usage of the knee isn’t all to blame for Patella Tendinitis and Tendinopathy as ageing can contribute to the weakening and the degeneration of the tendon this is due partly because as we age our ability to repair and replace damaged tissues cells is reduced. 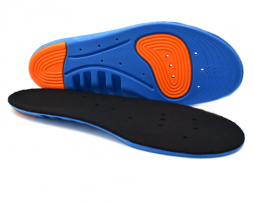 This can also affect the elasticity and strength in your tendon causing it to be more susceptible to damage. Jumpers Knee can often get worse that is why it is best to tackle the underlining cause as soon as possible. If the knee is subjected to continuous excessive usage this can cause worsening of the damage to the tendon, as the damage continues and the tendon becomes weaker and weaker the symptoms will get worse too. Jumpers Knee is therefore very common in sport due to the high levels of strain and usage athletes put the knee under. Continuous strain and usage of the knee can cause microscopic damage as well as inflammation of the patella tendon thus it is very important that your knees are sufficiently warmed up before exercise in order to reduce strain and damage to the knee and promote sufficient blood flow to the area reducing damage. Maintaining good form whilst running or jumping can help limit possible injuries which can cause damage to the tendon. It is always advised to let your knees fully recover after sustaining an injury to them especially when the injury involves damage to a tendon. Tendons often take a lot longer to fully heal than other parts of the body. Injury and damage to a tendon can also negatively affect its characteristics and bio mechanics which may take a while to restore. If you go back to using your knees as normal after sustaining jumpers knee you run the risk of further damage to the tendon. Protruding bones from a break may result in deformity of the lower leg. If you suspect that you have indeed broken your leg it is highly recommended that you see a doctor as soon as possible. In sport such as football it is fairly common to see instances of leg breaking on the field and this is due commonly to twisting of the leg whilst the foot is fixed to the ground or from a collision with another player. It is therefore highly recommend to take precautions when you are playing sports like football, precautions such as wearing shin guards to protect your Fibula bones from traumas, also stretching fully the feet, knees and legs before a game to improve Proprioception in your muscles helping to give you better muscle activation and awareness which can help you know where your legs are moving helping you to avoid awkward movement which may result in a compromising twist or turn that could potentially damage or break your bones. With a closed fracture where bone fragments are quite close together an orthopaedic doctor will usually look to move the bones fragments closely together and then fix a plater cast around the broken leg so that your leg can connect the two bone fragments together and heal by itself. A plaster cast is needed to keep the bones in place and prevent deformity. The estimated time the plaster cast stays on for a broken leg such as this usually ranges from 13-16 weeks. However even after the cast has been removed pain may still be present and the leg muscles will have been weakened both by the injury and inactivity of the muscle groups of the leg causing instability in the leg and knees. Physiotherapy is therefore recommended to help re-strengthen the lower legs. Physiotherapy is also recommended to help correct mechanical, muscle and postural imbalances that may have resulted from the injury. Resistance bands are excellent for helping you to keep your other unaffected muscles groups active and strong whilst you recover and also help to build fitness, balance and strength in your weakened lower leg once your broken leg has healed. If you suffer foot cramps, sudden jolts and pain whilst running then there are things you can do to try to reduce this. 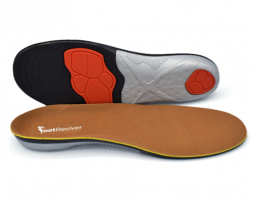 For instance you can wear orthotic insoles and improve your running technique. By just doing these two things you can vastly reduce the discomfort and pain while you run. 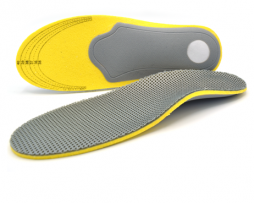 So how do you improve your running technique and how can orthotic insoles help? Let me first tell you about how improving your running technique will help. If you have a bad running technique then this can cause unnecessary force and jolts when your feet hit the ground, not only that, if when you run the impacts of hitting the ground with your feet becomes too powerful then this can affect your run. There are a few ways you can improve your run and stop this from happening; try to run softer and be lighter on your feet whilst running. Here are a few things that will help you run better and improve your technique to reduce unnecessary strain, discomfort and more importantly injury. Good posture is key to running as slouching or having a hunched back can cause back pain and may even cause strain on the leg muscles. Standing upright and straight will help you breathe more openly and freely meaning more oxygen will be able to be delivered to your cells and reduce the build-up of lactic acid. Good posture includes keeping your head up looking forward at all times as looking down will cause strain on your neck muscles. A trick many people use to improve posture is imaging that a string is tied on the top of their head and they are being pulled upwards kind of like a puppet. Many pro runners will land on their forefoot instead of their heel when running; this is because landing on the forefoot there is a less likely chance of injury and not only that it helps improve speed while running. Some people naturally run like this whereas other will run on their heel, if you run on your heel it is best to slowly start running on the forefoot as quickly changing running style can cause injury. Running shoes are available to help people slowly change running styles from heel to forefoot. Over striding is where your foot lands in front of the knee and this isn’t very good for your joints! It is not good because when your feet lands in front of the knee then it is out of your centre of gravity and this can cause injury, a better way of running would be to instead run so that the foot lands under the knee instead. Something that I mentioned above is too run light on your feet, do not hit the ground with force and the aim is to make your feet spend as little as possible time on the ground as you can. How your arms move is just as important as how your legs move. It helps improve not only speed but balance and rhythm as well. You must relax your shoulders as best you can as tension can cause pain and discomfort in the shoulders while running plus it can limit the movement in the arms. You elbow should be bent at around a 90 degree angle just like all the pro runners. Another thing to keep in mind is that you should move your arm with the shoulders and not your forearms. Breathing is very important whilst you run as being out of breathe while running won’t get you very far. Breathing more effectively can help you run faster and for longer. Breathing will also reduce the amount of lactic acid in your body when you cells become starved of oxygen. To improve your breathing remember to inhale via your nose and exhale from your mouth. Breathe with the diaphragm and always breathe deeply and openly. 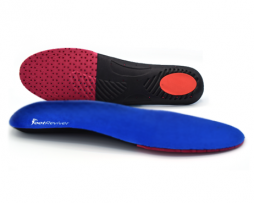 Even the pro runners wear running orthotics when they run (and when they are not running). 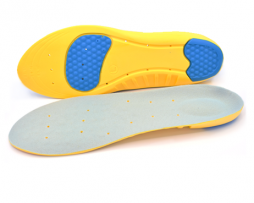 Running insoles will help to cushion your feet, reduce unnecessary shocks that can cause weakening in your tissues and even cause arthritis overtime. 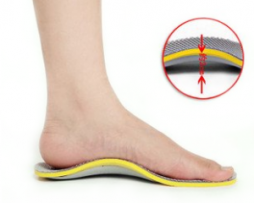 By spreading pressure that could build up so that it is evenly spread throughout the foot and heel it means that this build-up of pressure cannot cause damage, discomfort or pain. 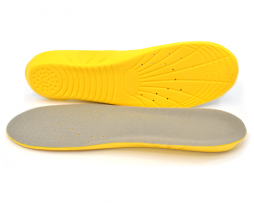 Insoles also help to reduce the risk of getting such problems as plantar fasciitis as your plantar fascia will be better supported. 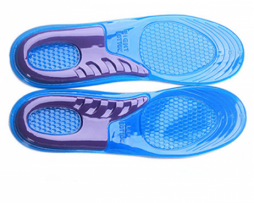 Because the insoles help to reduce sudden jolts in your legs because they act as a shock absorber it reduces strain and fatigue that can occur in your joint meaning you can run faster for longer.